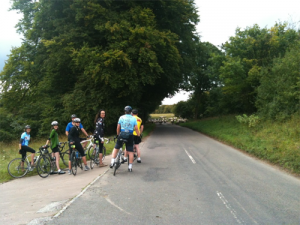 Saturday 10am Tea Ride, goes as fast as the slowest rider with regular ‘stop and waits’ along the route plus a tea and cake stop half way round. Usually back at the pub around 12.30pm. Everyone and all cycle styles welcome. Tuesdays at 7.30pm – the Pitstone Loonies – meets at the junction of Rushendon Furlong and Marsworth Road. A technical and challenging off-road ride for mountain bikers only. Lights essential during winter months. Thursdays at 7.30pm – the Pitstone Puddlers – meets at the Marsworth Road/Vicarage Road roundabout for general trail riding. All abilities welcome. Lights essential during winter months. Occasionally we arrange rides on other days including some off road adventures. The focus is to support all members of the group to achieve what they want to from each and every ride and to have FUN. Please visit the following website www.ivinghoevelos.org.uk or just turn up at one of the meeting points. You can also subscribe to the mailing list by visiting the above web site and then you will be notified as soon as each new ride is posted. You will get to see some of the stunning countryside around our village and the local areas and get fit at the same time, so do give it a try. Happy cycling!